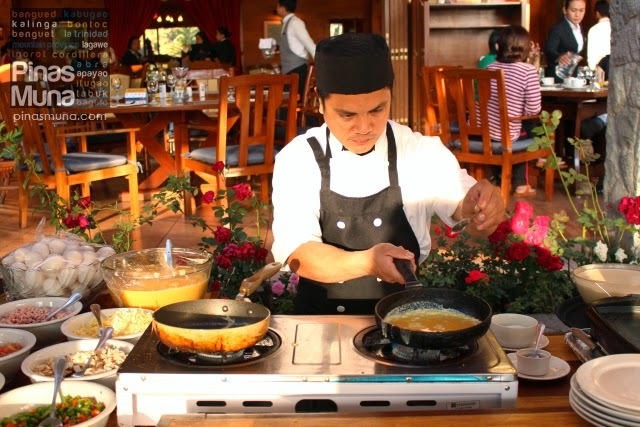 Le Chef is the all-day dining restaurant of The Manor at Camp John Hay and is famous for the wide selection of food items served at its breakfast buffet. 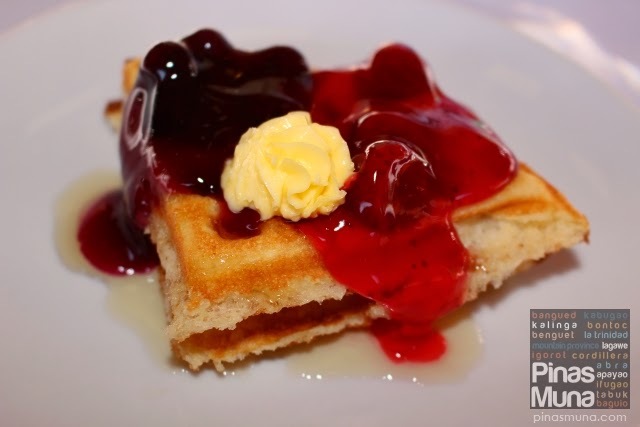 Last year, we were able to have one of our afternoon snacks at Le Chef as part of the Baguio Food Tour 2013. This year, like an answered prayer, we are back at Le Chef, this time to sample their much talked about breakfast buffet. It was such a great feeling that we had when we entered the restaurant and we couldn't help but admire its interior. 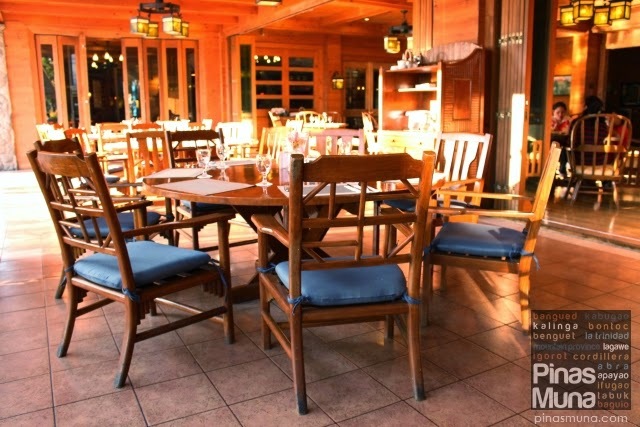 The log cabin theme sets the mood for a cozy dining experience. Guests can choose to seat inside the restaurant or at the porch facing the huge garden. 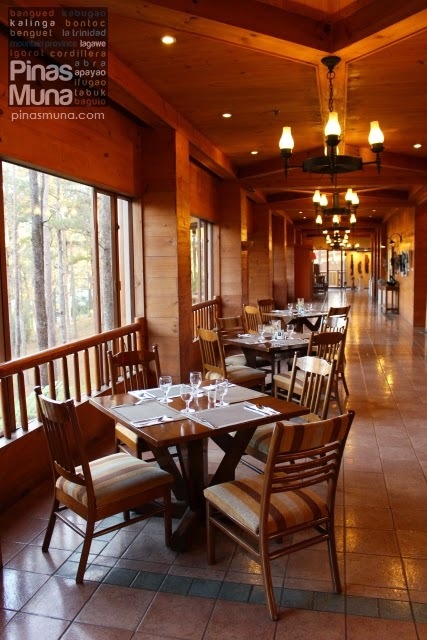 The corridor on the other side of the restaurant has a relaxing view of the pine trees and offers a quiet escape from the busy buffet tables. There's an assortment of breads with choices of jams and spreads. 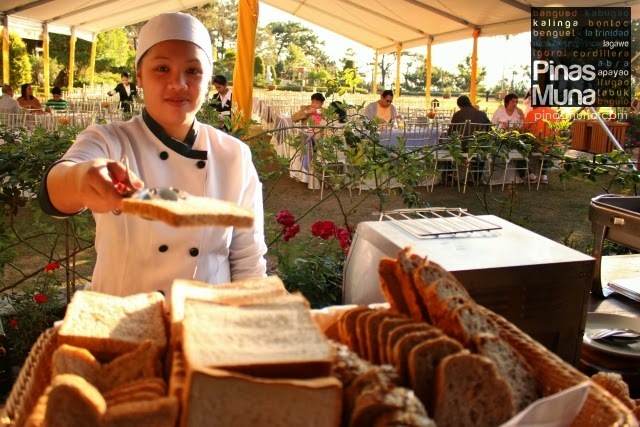 Guests can have the bread sliced and toasted. 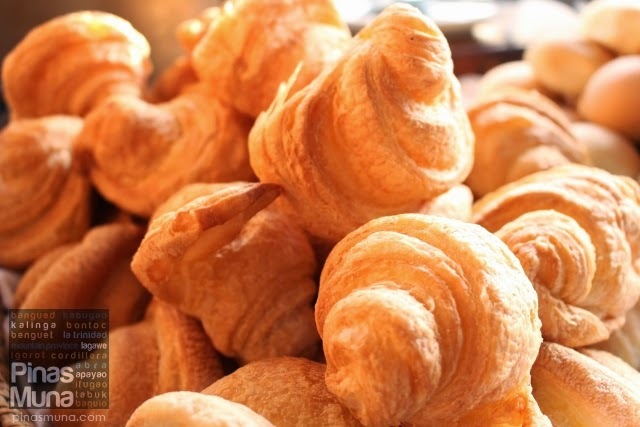 I particularly liked the croissants which I paired with butter. 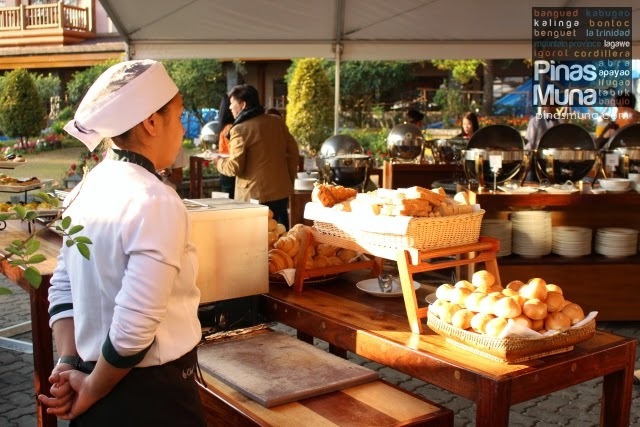 There's also a variety of pastries to choose from. 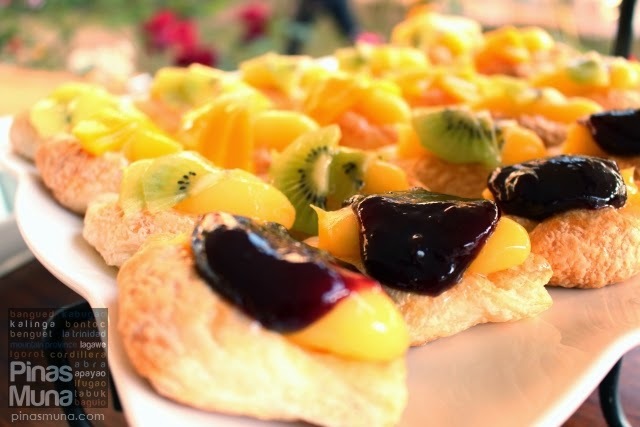 My favorite are the Danish pastries topped with cream and slices of fruit preserves. 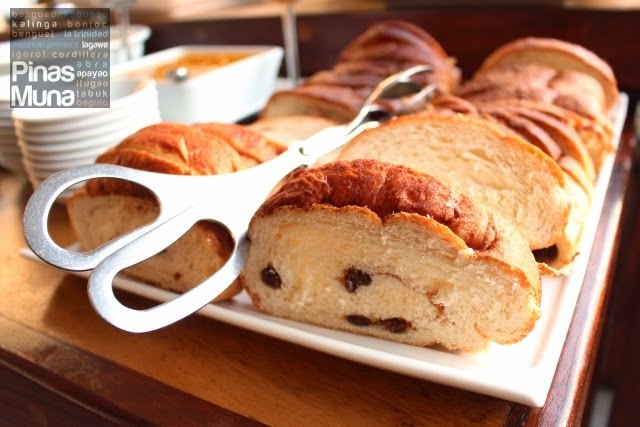 One of the famous pastries at Le Chef is their very own version of the raisin bread. I have seen some guests buying an entire loaf of this raisin bread, perhaps as pasalubong or for personal consumption when they get home. 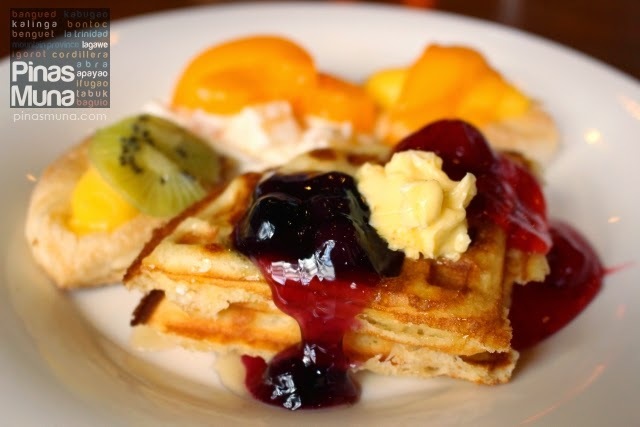 Another section of the buffet is the omelet and waffle station. This stations looks like the busiest. There was a point when there was a queue of guests waiting for their personalized omelet done by a chef dedicated to this section. 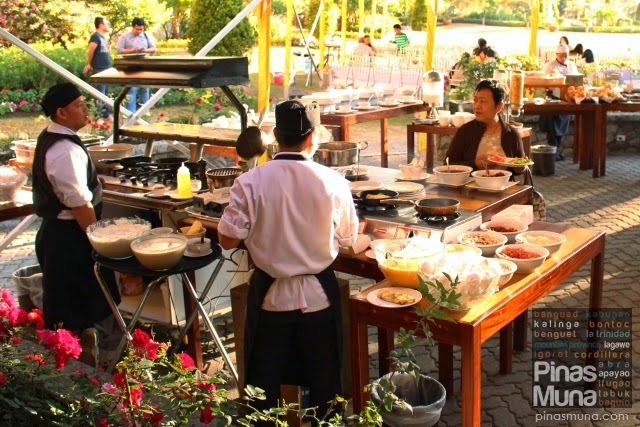 It is really entertaining and educational at the same time when watching live cooking demos. It gives you an idea how your food was prepared and it will also guide you on how to recreate the dish if you have to make it on your own. I also played around with the waffles. I got two slices and topped it with blueberry and strawberry jams plus a small portion of butter in the middle. 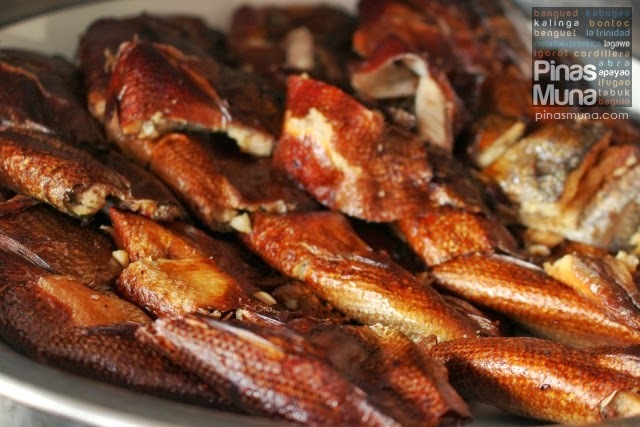 Taste turned out fine, and I really enjoyed it with my brewed coffee. The salad section features both local and international flavors. 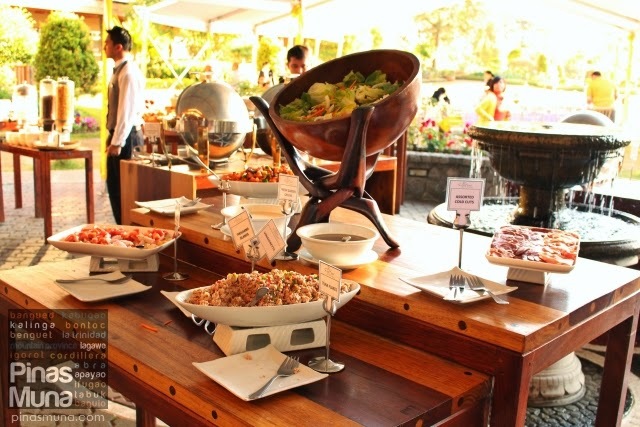 Artistically arranged in the middle of the buffet tables are fresh garden salad, the kimchi inspired salad, the tuna flakes, the salted egg & tomato salad, and lastly the cold cuts. Most interesting of them all is the kimchi-inspired salad. 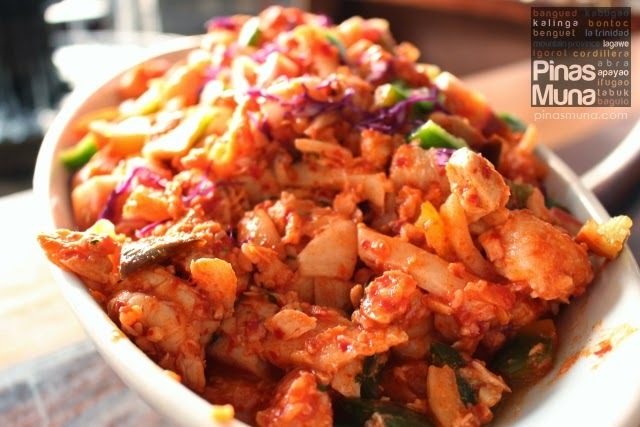 I don't really associate kimchi as a breakfast item but serving it as a flavoring to a salad gives a quite refreshing taste to the palate. 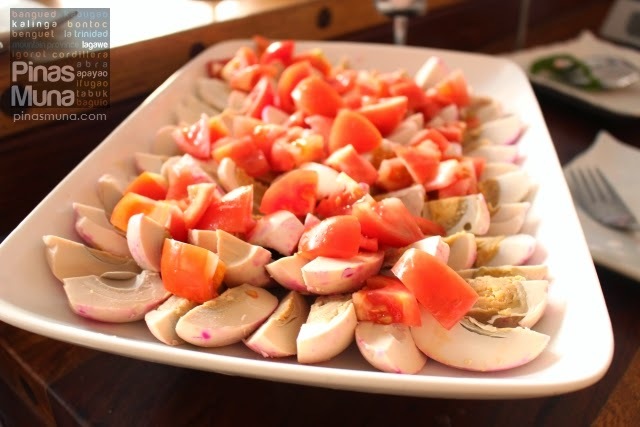 The classic Filipino salted egg & tomatoes salad is also one of the stars of the salad section. It is one of the salads that is constantly being refilled on the buffet table. 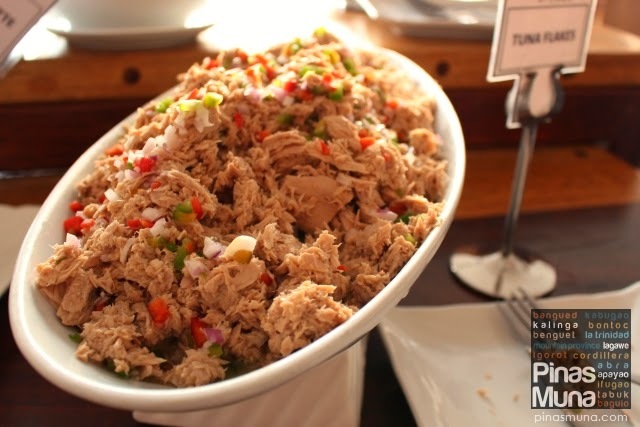 There's also tuna flakes which you can add to your fresh garden salad or eat together with bread. 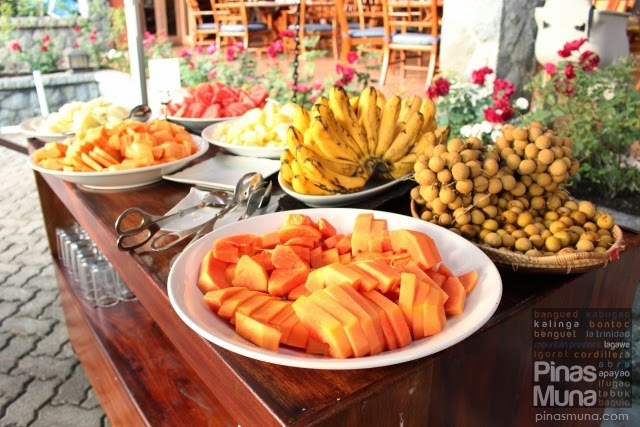 If you are looking for a light breakfast, then the fresh fruits section can be your best choice. They serve fruits that are in season. By the looks you can see that the fruits are of high quality and are very fresh. 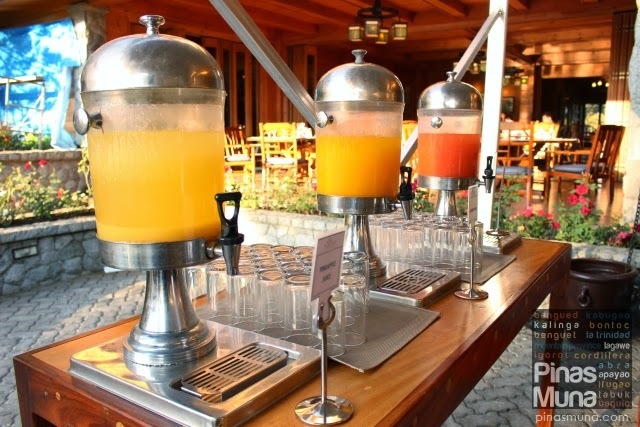 There's also a number of fruit juices to choose from if you are looking for a refreshing beverage. Brewed coffee is also refillable. 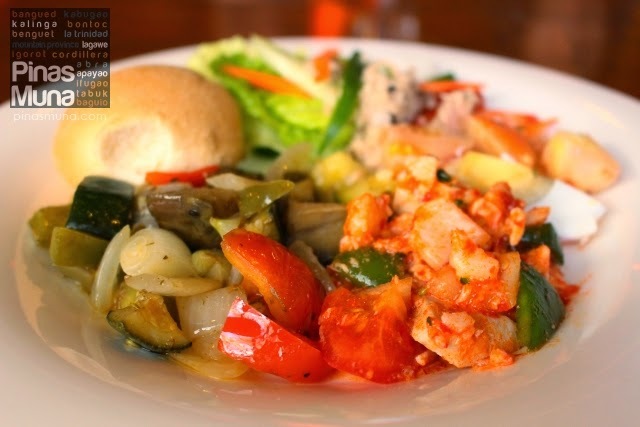 Moving on to the viands, Le Chef offers both Filipino and international cuisines since the hotels guests also come from various regions of the world. So they have to make sure that there's always something for every one's taste. 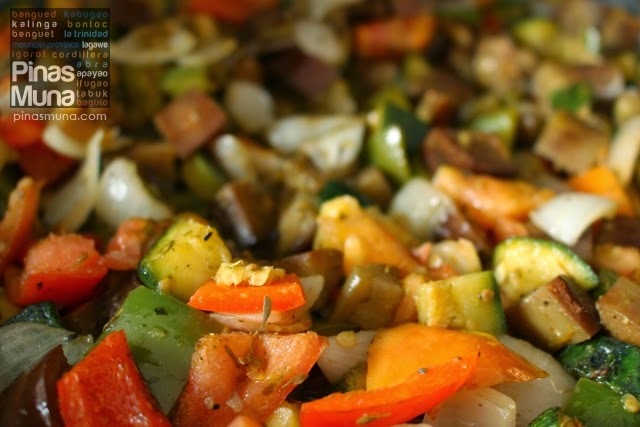 The Mediterranean vegetables is a good mixture of fresh vegetables typical of the Mediterranean region, but are grown and sourced locally in Baguio. 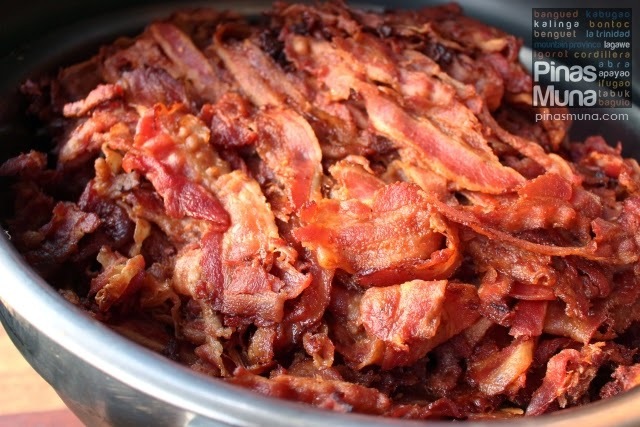 The buffet table never runs out of bacon. Whether you have it with fried rice or with bread, it's your choice. 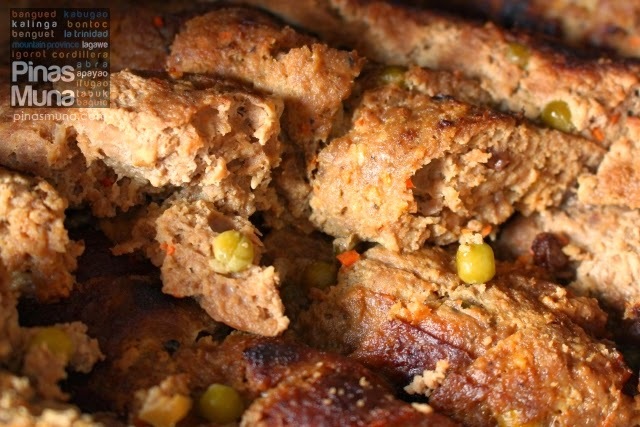 Then there's Baguio longanisa. 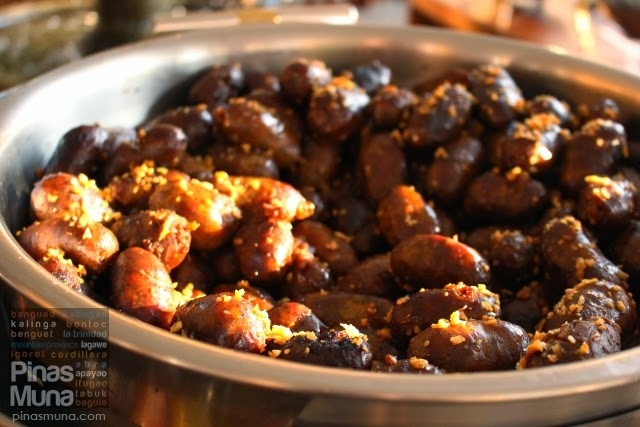 I personally love the garlicky flavor of Baguio longanisa especially when it is paired with sukang iloko. I am not really a fan of embutido, that's why I did not get to sample it. However, it really got great remarks from one of our friends in the group. Another one of my favorites, tinapang bangus! This also goes well with vinegar especially when mixed with garlic and ground pepper. Here are some of the buffet plates we prepared, trying to keep a theme for every plate of food. 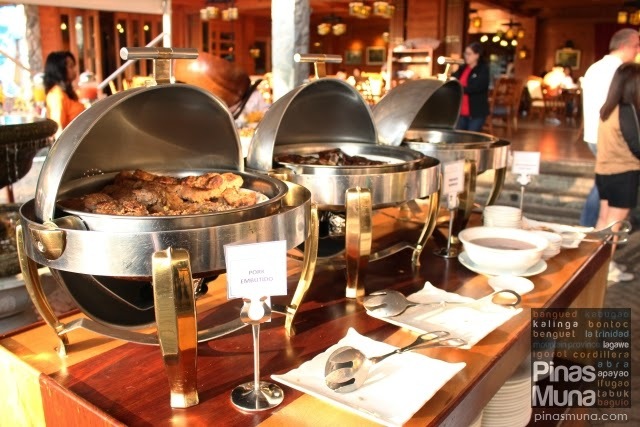 Overall, we did enjoy Le Chef's breakfast buffet. It really lived up to the expectation, everyone was very full and very satisfied. 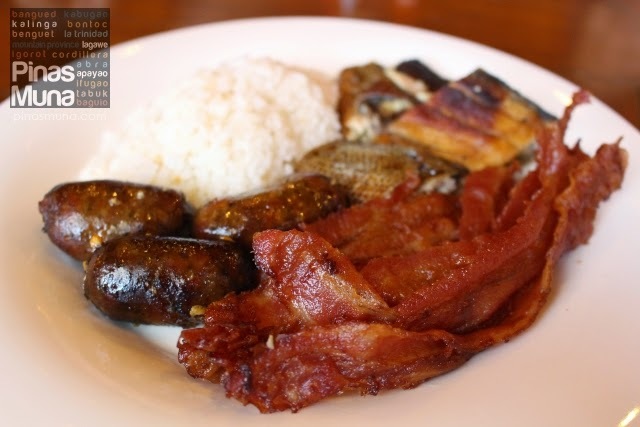 What a way to start the day and to kick-off our weekend of food trip in Baguio City. 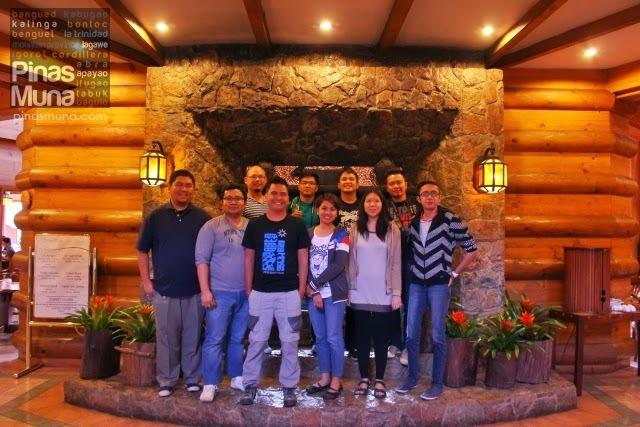 Many thanks to Le Chef at The Manor for inviting us again at the restaurant and for supporting the Baguio Food Tour 2014 (BFT2014) blogger event.